Age74, a resident of Albuquerque, died Sunday, May 6, 2012. She is survived by her children, Jimmy E Lane and wife, Ramona of Albuquerque, NM, Dean E Lane and wife, Twonika of Albuquerque, NM, Brenda D Brytus Lane of Houston, TX, Lonnie J "Sparky" Lane and wife, Helena H. of Albuquerque, NM and Sabrina M. McAllister; 10 grandchildren; 11 great grandchildren; and numerous other family and friends. Mrs. McAllister was preceded in death by her husband, William and her parents, Walter and Kimmie Eddings. 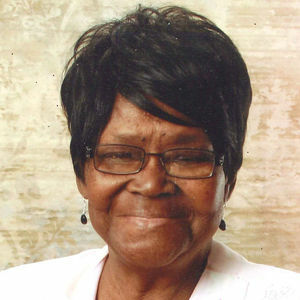 She was a member of Blake Road Baptist Church. Mrs. McAllister was a nurse in the Home Health Care Industry. She especially loved children and had a tender heart for animals. Services will be held on Saturday, May 12, 2012, 10:00 am at French Funerals and Cremation, 9300 Golf Course Rd NW. Cremation will follow the services. Friends may visit French - Westside Location on Friday, May 11, 2012 5:00 pm - 7:00 pm. Memorial contributions may be made to the charity of your choice. The beautiful and interactive Eternal Tribute tells Bobbie's life story the way it deserves to be told in words, pictures and video. Bobbie, you will be missed, we'll see you again in the after life, God bless your family! You all are in our prayers as you grieve your mother's passing. "Granny" was so kind to Jessi and Natalie, she treated as her own grandchildren. Bobbie had such a passion a joy for life. I would have dreamed of actually going 4 wheeling and the girls loved it! As much as we loved her we know her family loved her more. May God comfort you all. To all the family, our condolences go out to the family. Our heart is truly sadden, but Heaven rejoices for her coming home. God Bless you all. To my Dear Mother In Law your now at the feet of Jesus soring high in Heaven with the Angles and you will forever be Mrl Lonnie and my Angel. Your were the most Awesome Mother In Law in the entire world. You gave everything of yourself to us, and to everyone else. Love you very much you will been truly miss.